This week’s list of data news highlights covers March 3 – 9, 2018, and includes articles about a robotic cauliflower famer and how new algorithms are helping scientists detect gravitational waves. Video game company Ubisoft has developed an AI system called “the Dubbed Commit Assistant” that can warn a coder when they are about to create a bug when writing software. Identifying and fixing bugs in video games can be resource intensive, taking up as much as 70 percent of development costs. Ubisoft trained the system on 10 years’ worth of code from past projects to teach it common mistakes and identify how they were corrected so it can flag potential errors before they arise as developers write new code. Researchers at the University of Plymouth in England have developed a robotic system called GummiArm that mimics the human arm to help farmers harvest cauliflower. GummiArm relies on cameras and sensors in its fingers to evaluate cauliflower plants and determine when they are appropriate to harvest. 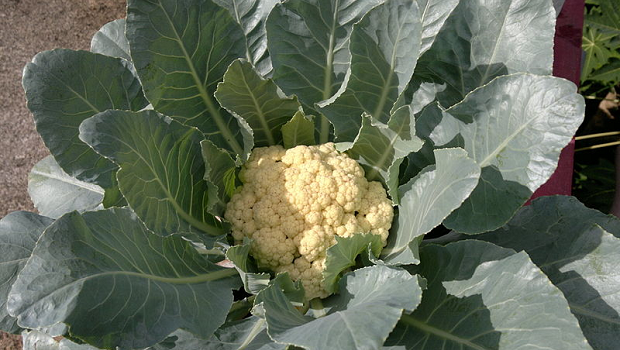 By compiling large amounts of imagery and touch data about cauliflower, the researchers hope that long-term use of GummiArm could help lead to new insights into how to improve cauliflower crops. The U.S. Food and Drug Administration (FDA) has given consumer genomics company 23andMe permission to sell tests for BRCA genes, which are linked to increased breast and ovarian cancer risk, directly to consumers. The test can determine whether a person has the BRCA1 or BRCA2 genes, which give women a 45 to 85 percent chance of developing breast cancer by the time they turn 70, and this information can help women make more informed decisions about precautionary measures such as mastectomies. This marks the first time the FDA has approved the selling of direct-to-consumer genetic tests for diagnostic purposes. The White House Office of American Innovation has launched an initiative called MyHealthEData to coordinate efforts from the Centers for Medicare and Medicaid Services (CMS), the National Institutes of Health, the Office of the National Coordinator for Health Information Technology, and the Department of Veterans Affairs to make it easier for patients to access and control their health data. CMS has also announced a series of additional steps to improve patient access to data, including launching Medicare’s Blue Button 2.0 to provide beneficiaries with claims data in a universal format, encouraging private plans to make patient data more accessible, and taking new steps to combat information blocking efforts. Scientists at the Laser Interferometer Gravitational-Wave Observatory (LIGO), which famously confirmed it detected the presence of gravitational waves in 2016, has developed a suite of algorithms that dramatically improve how it detects and analyzes the phenomenon. It took five months for scientists to analyze a huge amount of electromagnetic data before they could confirm they observed a gravitational wave for the first time. Thanks to improvements in data collection methods and the use of machine learning, LIGO scientists have been able to reduce that lag to just 30 minutes and are approaching real-time detection. Rady Children’s Hospital in San Diego has developed a method to rapidly sequence the entire human genome, allowing it to quickly diagnose and treat infants with severe genetic disorders before they get too sick. Sequencing an entire genome normally takes several weeks, but hospital researchers are able to sequence a whole genome in less than a week for just $6,000 by modifying and combining multiple sequencing and analysis techniques. The hospital has used the technique to sequence the genomes of 340 children, and this data caused doctors to change how they treated about two thirds of these children, allowing them to recover more quickly and sometimes saving their lives. Information technology company Unisys has developed an AI system called LineSight that can combine data from multiple sources such as cargo manifests, airline ticket information, and data from law enforcement agencies to flag suspicious cargo and people at border crossings. Unisys trained LineSight to spot suspicious relationships between shipments and people, such as if a particular shipment is unusual for its port of origin, similar to how cybersecurity software detects suspicious traffic from a hacked server. Autonomous vehicle company Waymo has announced that it will use self-driving trucks to deliver freight to its sister company Google’s data centers in Atlanta. Waymo had been testing self-driving minivans in Atlanta already, and its trucks will use the same custom array of sensors to drive on public roads, while relying on a human driver to take over in certain situations. Researchers at the Massachusetts Institute of Technology analyzed a dataset of hundreds of thousands of tweets from 2006 through 2017 and found that fake news, disinformation, and rumors spread dramatically more quickly than the truth. The researchers compiled 126,000 cascades—tweets and and their retweets—spread by 3 million Twitter users that contained rumors investigated by fact checkers such as Snopes. The researcher’s analysis shows that a lie will reach 1,500 people six times faster than a truth and that falsehoods were 70 percent more likely to be retweeted. The researchers also found that falsehoods spread at similar rates even when they filtered out tweets by bot accounts. The U.S. Department of Veterans Affairs has launched a beta version of an API platform called Lighthouse designed to provide software developers with tools and APIs for developing apps that allow veterans to manage their health data. Lighthouse uses the Fast Healthcare Interoperability Standard (FHIR) standard to allow developers to combine data from multiple sources.